I bought this one because it has a pyramid on the front, and so I could try to figure out why they left the "H" out of The Cronics. So far I haven't been able to sort that one out, but I'll keep you posted. I do have to admit that I admire any band that starts a record label named after their band to release their own records. That is exactly at the heart of DIY. 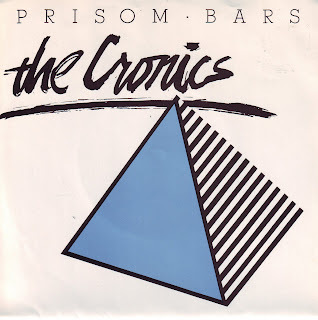 Ladies and gentlemen, for your listening pleasure, a single by The Cronics.